“Real dogs don’t need tails.” That’s what Maverick and Ginger told their precious baby Sagebrush when she was born without a tail. Sagebrush overcomes labeling and bullying by her peers with the help of a young woman who hasn’t let being a girl stop her from achieving her dreams. There was a deep, low grumbling, groaning noise coming from deep within the forest where no grumbling, groaning noise should be heard. 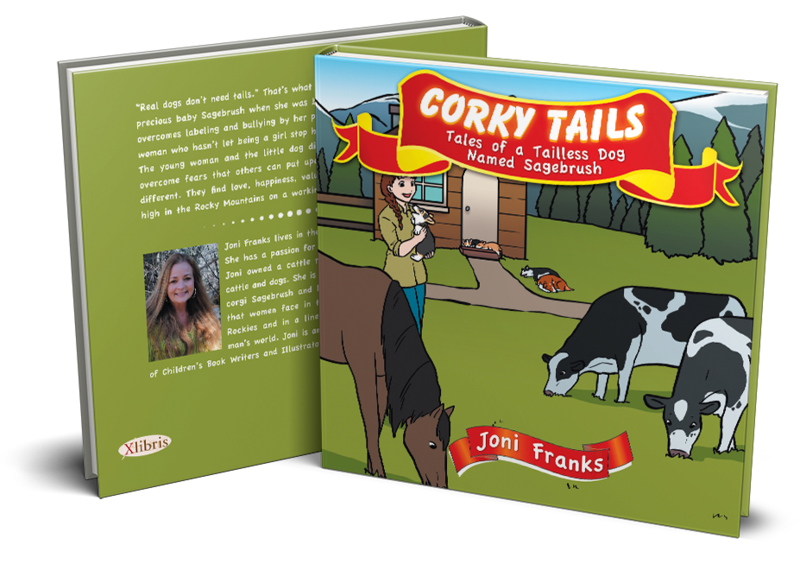 Sagebrush, the tailless puppy, felt the vibration of the earth before she heard the noise as the sun began to rise over the Rocky Mountains and the cattle ranch she called home. 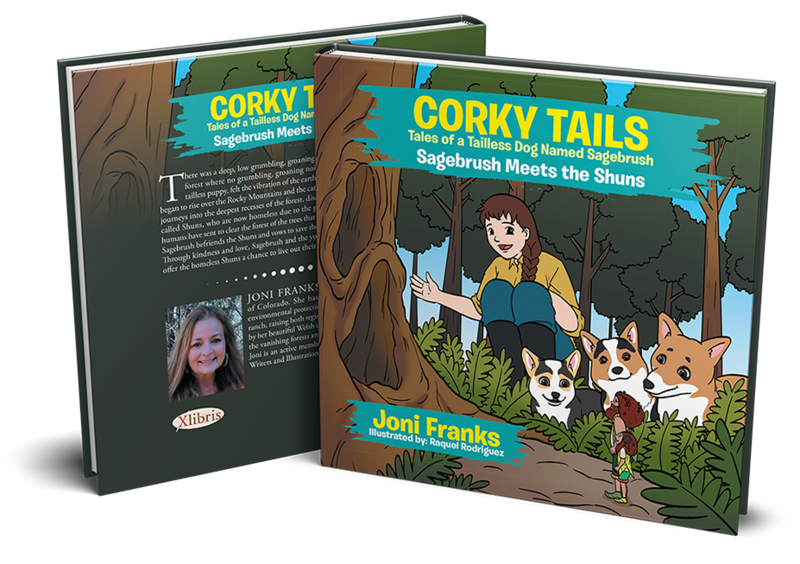 Sagebrush journeys into the deepest recesses of the forest, discovering the tiny unknown creatures called Shuns, who are now homeless due to the giant tree-cutting machines that the humans have sent to clear the forest of the trees that the Shuns once made their homes in. Suddenly, the cows began to paw at the ground, and the horses began trotting nervously and whinnying. The next thing Sagebrush and the Young Miss knew, a herd of deer came running out of the forest, straight past Sagebrush and the Young Miss. “Fire!” the big antlered buck screamed as he ran across the lawn where the little mountain cabin sat. “Run for your lives! The woods are on fire!” he screamed. 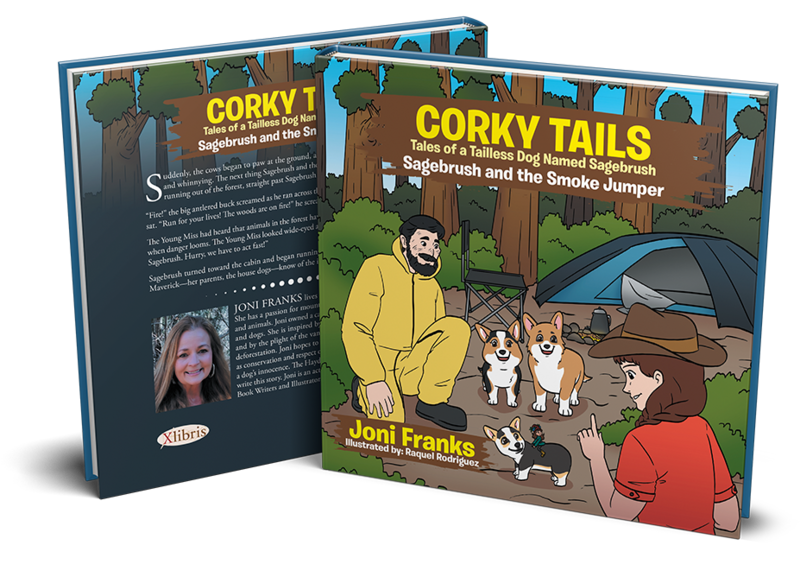 Sagebrush turned toward the cabin and began running as fast as she could to let Ginger and Maverick—her parents, the house dogs—know of the imminent danger. Fat black thunder clouds billowed high in the Rocky Mountain sky, foreshadowing that a stormy weather day was already brewing on the cattle ranch where Sagebrush, the tailless puppy, and her parents, Maverick and Ginger, slept in their warm cozy doggy beds. Follow Sagebrush and the Young Miss in this search and rescue adventure as they endeavor to save a lost hiker and the tiny people known as Shuns from the rising waters of Butterfly Creek. This charming tale teaches the life lesson of having faith in yourself and faith in others and is paired with the message that all lives matter equally. 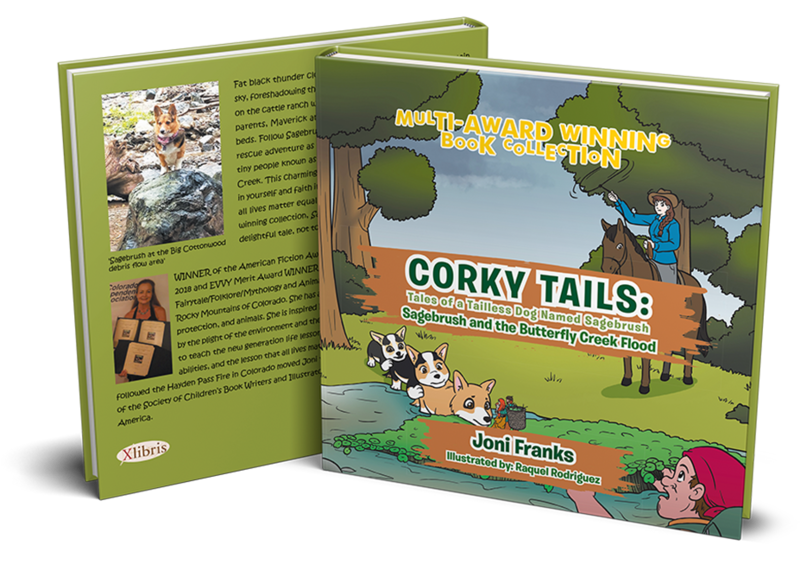 The fourth book in the multiple award-winning collection, Sagebrush and the Butterfly Creek Flood is a delightful tale, not to be forgotten.